If you missed out on the buying frenzy this weekend, don't worry. There are still a few places that haven't sold out yet (on Monday morning). Barnes & Noble still have the TouchPad (for about $101). I'm a little surprised to hear that; I didn't know that they carried it at all. In fact, this is the first time I ever heard of their electronics department on their website. If you miss out on B&N and the other offers then you might want to look at Amazon. 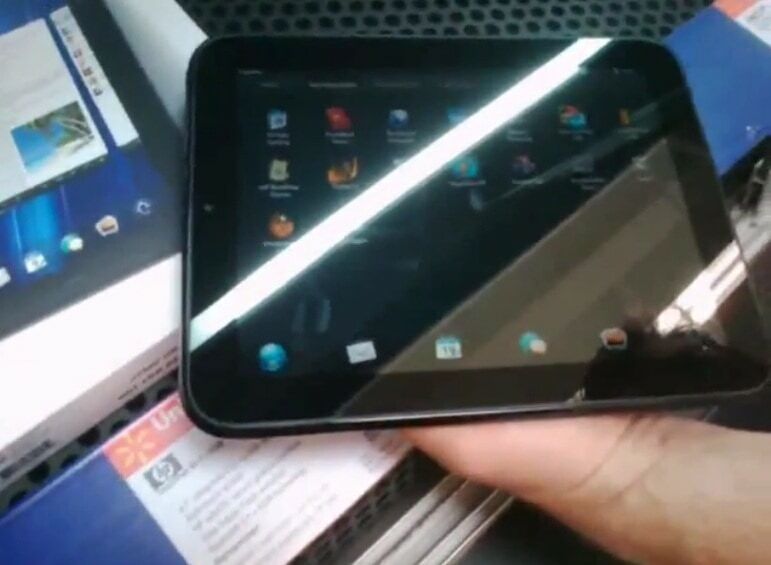 The TouchPad has already started showing up in the hands of scalpers. Right now you can get one for around $200. My local BestBuy sold out of the TouchPad in minutes, but they told me that they might be getting a shipment from the warehouse. No one knew when it would arrive, but they did suggest that I keep checking the stock tracking page for the TouchPad. Update: According to an HP insider, the HP website should get more TouchPads in stock later this week. You can sign up to be notified by email. P.S. Keep an eye on this space (or my Twitter account). I will be keeping an eye on FatWallet, Twitter, and some deals tracking sites. I plan to update this post throughout the day as I learn of more deals. I stopped by my local Best Buy and they were sold out too. There was a huge line when they opened for it. hi tyler.. i also placed two order at bn.com hp touchpad thingie… they said they didnt charged me until they ship the item out but i just received an email like yours from them.. this is my first time order stuff from barnes and noble.. i tried to call them like thousands times but no one answer my called.. so i just wonder, are they going to refund the money back to my credit card??? i’m really frustrating.. am i going to lose all my money when i dont even receive any of my orders? I ordered one from B&Ns website this morning and so far I got the confirmation email. My paypal hasn’t been charged yet though so I’m still waiting. They had a few at walmart in my area but they wanted the regular price still. According to them the sale was only suppose to be yesterday morning. I purchased one this morning too on my credit card and have been charged for one. So we will see. * Your credit card will be charged when your order ships. however, are processed as soon as you place your order. But they did charge my credit card right away so I better be getting one! I guess I won’t be getting one. Here is what I got today…. We are writing to you regarding your recent Barnes & Noble order for “HP TouchPad Tablet with 16GB Memory”. You may see an authorization on your credit or debit card for the order, but please be assured you will not be charged. The authorization will be released in accordance with your bank’s policies. F******, they sent email just now when everyone is sold out. Why not they have automated inventory system. Not a trusted seller any more. They also say at the bottom of the order screen that they don’t bill you when they actually do bill you! It’s not the end of the world but it does tie up $105 on my credit card. Found this site with a 32 gig one for $150 but they charge for shipping.